With the countdown to summer officially on, Resort Realty gives you another reason to love summer even more. Countdown to your 2019 Outer Banks vacation with our Summer Kickoff special. 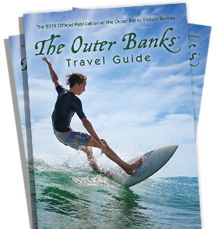 Welcome summer early with special limited time savings on your Outer Banks vacation. To take advantage of Our Summer Kickoff Sale, you must book a 7-night stay in a participating property with a stay between 4/26/19 – 6/16/19. Please mention promo code SUMMER at time of booking. *Offer valid on stays for the weeks of 4/26/2019 through 6/16/2019. A minimum stay of 7 nights is required. Cannot be combined with any other offer or special pricing. Available for new reservations only. Some restrictions apply. Not valid on multiple week stays. Please mention promo code SUMMER at the time of booking.